Dr. Clatworthy is a 2008 graduate of Logan College of Chiropractic. While at Logan she also completed a Bachelor of Life Science degree. Her accreditations include certification from the National Board of Chiropractic Examiners and licensure in the state of Florida. 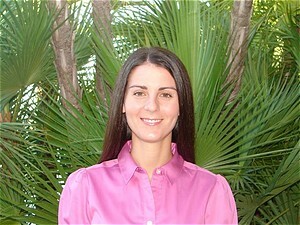 She is also a member of the Florida Chiropractic Association and the Florida Chiropractic Society. Prior to attending Chiropractic college, Dr. Clatworthy obtained an undergraduate degree in Human Kinetics from the University of Windsor Ontario in Canada. Being an accomplished swimmer and runner, Dr. Clatworthy has special interests in treating and educating athletes of all abilities so that they may compete and exercise at their best.